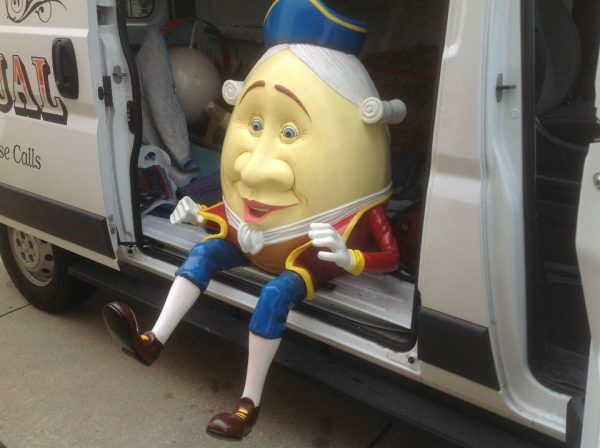 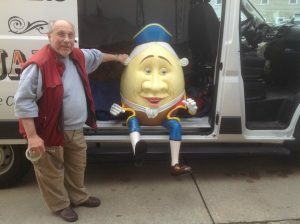 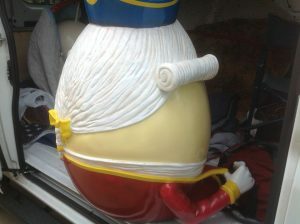 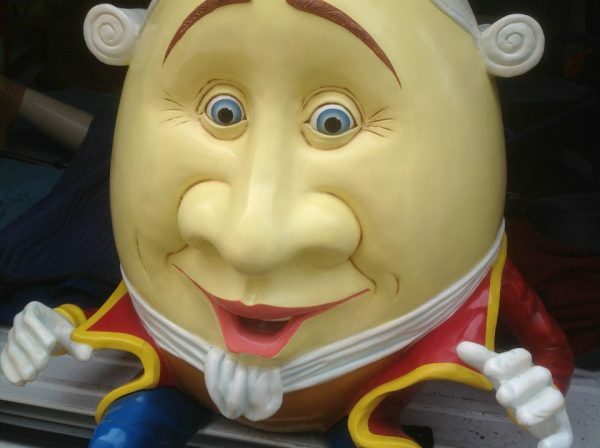 Magnificent fiberglass Humpty Dumpty display figure statue in as found condition. 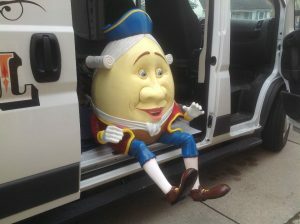 Humpty measures 57″ tall x 36″ wide x 33″deep. 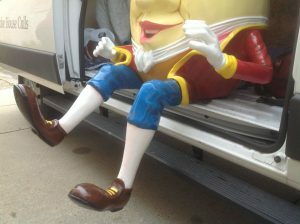 Happy guy needs a good home in some child’s room or school classroom. 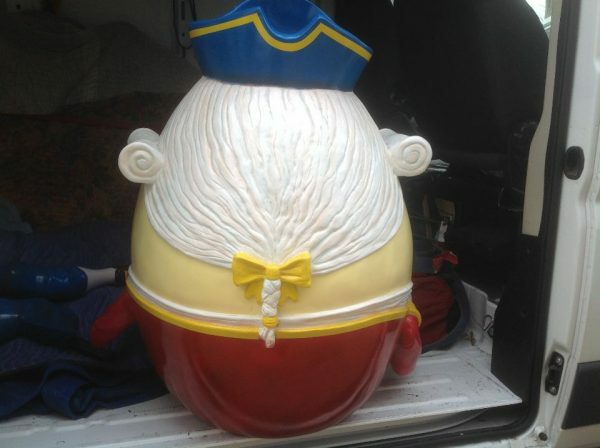 Make some kid happy………..